OX5 Aviation Pioneers is a 501(c) (3) tax-exempt organization and is registered with the Pa Department of State and the IRS. Our PA entity number is 101758. Our Federal Registration Number (EIN) is 25-6082280. A copy of the official registration and financial information may be obtained from the PA Department of State at 800-732-0999. From the desk of Tim Pinkerton, 2019 President. Recruiting new members is one of the most important tasks that our organization will face the coming year. It is important because a growing organization is a healthy organization. The only way to insure our organization continues to be strong and powerful is to keep numbers increasing. This also increases revenues needed for the educational projects for which we are chartered. Yes, it is a challenge…there are no shortcuts or magic pills. So, the question is. Are you up for the challenge? Will you recruit one new member this year? We need your help. We have made it very easy for people to join online. There is now an online new member application on the main menu. There is also a new online membership renewal on the main menu. This should make it easy to join and re-up automatically..
Also, we have instituted a New Member Recruitment Drive under the leadership of Gov. Rich Wilbur. This fall promotion will reduce the normally $30.00 annual dues to $15.00 for the 2019 year for new members. So, you have the ammunition….now get out your pencil and recruit a new member! Basic membership is a bargain and it keeps the lights on. 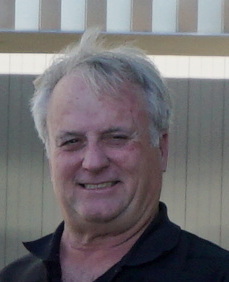 Tim Pinkerton, 2019 President. You do not have to be a pilot or mechanic to join our 423 member organization.